TRUST A FORMER COAST GUARD MEMBER TO KEEP YOU SAFE – Serving all of Pasco County and Surrounding Counties. Book your inspections today! We inspect each home as if it were our own. 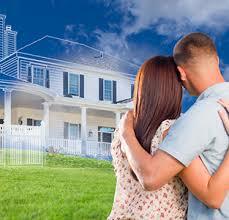 Buying a home is one of the most expensive purchases you may ever make in your life time. Whether you’re a first time home buyer or a seasoned professional purchasing an investment property, you need someone that has your interests in mind. Although the process is exciting, it can quickly become overwhelming. With over 18 years of relevant experience, let us help you take the guess work out of purchasing your home. 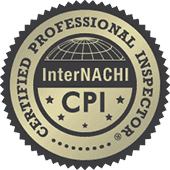 I am a Certified Professional Inspectors (CPI)® and proud member of the International Association of Certified Home Inspectors . I abide by InterNACHI’s Standards of Practice and Code of Ethics. I am an independent Florida Home Inspector that works for you and will perform an unbiased inspection with the utmost quality and integrity. 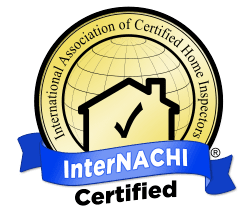 My General Home Inspections are a Non-Invasive and are an evaluation of the Visible and Accessible area of the interior and exterior structure, systems and components. Such as the Roof, Exterior, Basement or Crawlspace, Foundation, Interior, HVAC, Plumbing, Attic, Insulation, Ventilation and Electrical. You are invited and encouraged to follow along as I perform the inspection. The report is based on observations made on the date of the inspection only and not a prediction of future conditions. Your report will include my findings of any material defects and safety concerns I discover that day, in an easy-to-read format. Having your home professionally inspected by On Point Property Inspectors LLC will give you the “Peace of Mind” you are looking for to make an informed decision for you and your family. Book an Inspection Today. Give “On Point Property Inspectors” a call and schedule your Inspection today.